Origin: VARIES... NO CURRENT CONTRACTS AVAILABLE!! 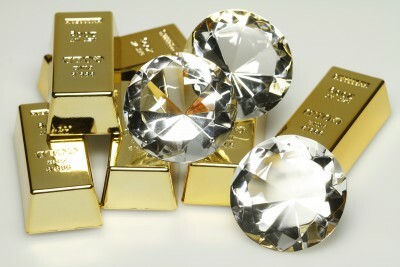 GOLD & DIAMONDS - ORIGIN: Varies... NO CURRENT CONTRACTS AVAILABLE!! We take great precautions to be certain that the sellers we have are solid long-term sellers who not only have been in the business of selling these items for many years, but who have products and are able to deliver those products to nearly any destination/refinery in the world. Seller contracts for both Gold & Diamonds are issued at the time of availability only. These contracts are not ongoing, nor will we have offers on a constant basis. If you are a buyer or have legitimate verifiable buyers, feel free to contact us when offers are available. Buyer requests are also accepted and held on file for when products come available for contract. MT monthly Purchases are NOT possible, unless over period of 12-Mo Contract! Realistically 25kg - 250kg possible monthly! GOLD MINE IN OPERATION FOR SALE (BRAZIL)!